Modern science has mysterious roots based on hermetic teachings and occult practices! And the source is Britain who Invented the Modern World conception! Herman, A. (2001). 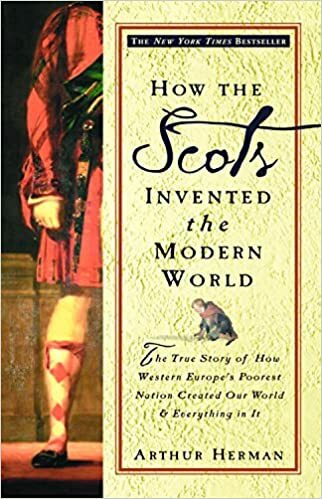 How the Scots invented the Modern World: the true story of how western Europe’s poorest nation created our world & everything in it. Crown. This subject is of paramount importance. Indeed, the mysterious appearance of the dynamics of modern science can be linked to Kabalistic practices from ancient Egypt. All the people who were pioneers in scientific fields were linked to these forms of occultism, and modern science has bleached all that esoteric past that is the source of what is called the scientific revolution. The secret societies, the Kabalistic practices, were transformed in England into scientific and scientific societies, with the appearance of the royal society set up by Francis Bacon. The mastery of the material world, brings us to the end of the path with the current knowledge that the current world is a universe of interacting energies. To what extent is modern science (which is supposed to control matter) not a form of magic that controls the energies around us? The matrix was not a movie … this topic deserves more exploration …. do you see what i see neo?